HOME ＞ ACTIVITIES ＞ P.E. At International Yamanote Kindergarten, once a week our students take a swimming lesson from a professional swimming instructor. 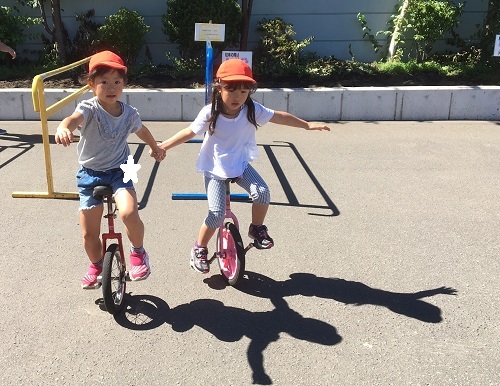 Also, the students build up their physical skills with jump ropes, mat, stilts, unicycles, vaulting horses, and horizontal bars, etc. Intermediates and seniors are taught by a professional exercise teacher four times a year. Younger children are encouraged to dance to music, skip, jump and play games like hopscotch to increase their physical abilities. In the pool they learn to put their face in the water without fear and play with the slide and water toys. Children at this level practice catching and throwing, tumbling on mats, stilts, etc. They are encouraged to use all the available facilities to push their skills. With the help of the instructor they learn to float on their stomaches and backs. Through horizontal bars, unicycles, soccer and more, students are free to improve their skills. 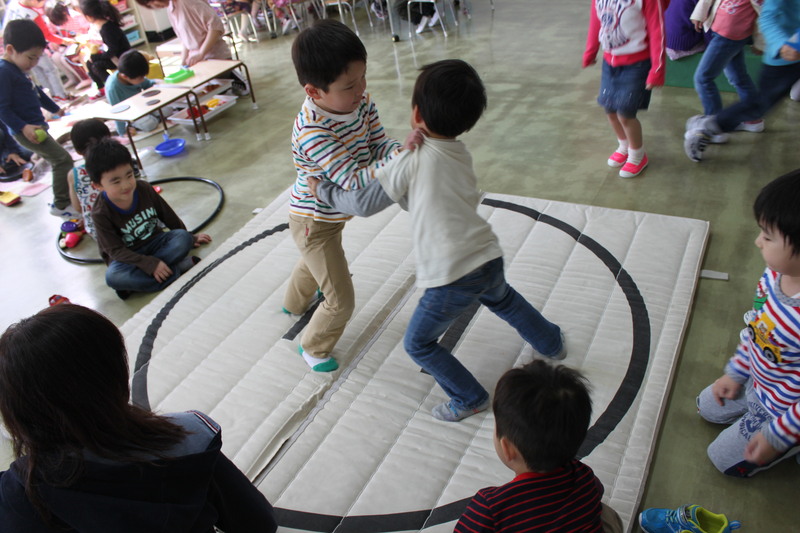 Together with their friends they engage in games with rules to polish their physical control. In the pool they learn the basics of swimming by kicking to a rhythm and are supported as they try to swim the length of the 10m pool.